If you like chocolate and peanut butter, this sweet treat is for you! 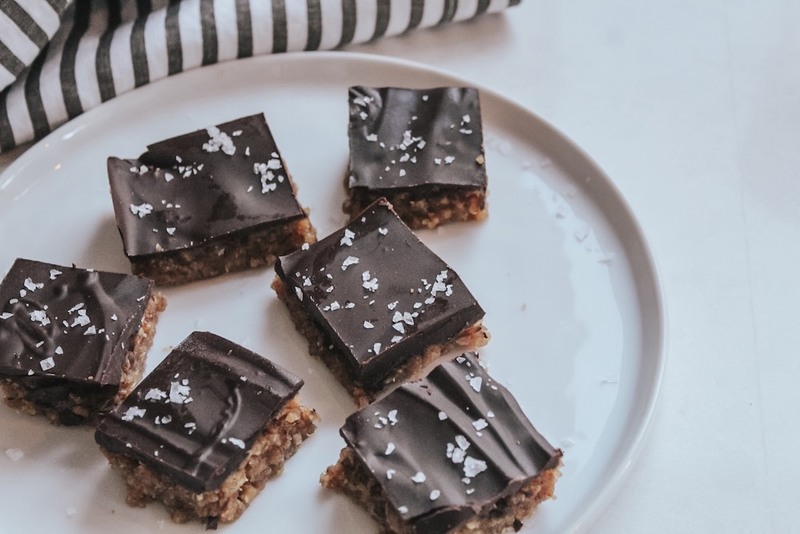 This energy-boosting dessert (or sweet snack) is naturally gluten-free, dairy-free, and vegan—and yet, it’s full of protein and fiber thanks to the quinoa, brown rice, and peanut butter! Even better, it takes just 15 minutes to prep! Place parchment paper on the bottom of an 8x8 or 9x9 baking dish. Spray with nonstick. Combine creamy peanut butter, maple syrup, melted coconut oil, and vanilla extract in a large bowl. Spoon in rice puffs and quinoa flakes or crisped quinoa into the large bowl. Mix with a spatula until evenly dispersed. Press rice-quinoa mixture firmly across the bottom of the baking dish. In a double boiler, or in the microwave, heat ½ cup dark chocolate baking chips and 2 tbsp. organic creamy peanut butter. Melt and stir until the chocolate melts, then use a clean spatula to spread the chocolate evenly across the top of the rice mixture. Top with fleur de sel or sea salt. Refrigerate for 30 minutes before cutting. Store in an airtight container and enjoy! Option for Crisped Quinoa: If you do not use quinoa flakes, you can make your own quinoa crisps by first boiling them as the package suggests, and then spreading them onto a baking sheet and baking at 350-degrees for 30 minutes (or until crispy).